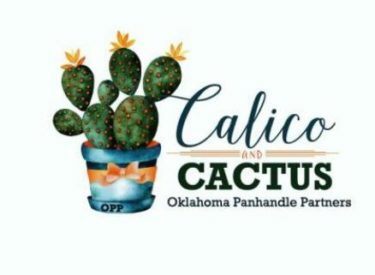 The Oklahoma Panhandle Partners 6th Annual Fall Membership “Calico and Cactus” Fund Raising Party will be held Thursday, October 4, 2018, 6 p.m., at Pickle Creek, 822 NE 6th, Guymon, Oklahoma. Enjoy music, dinner, much more! Oklahoma businesses, sports teams and other flairs will be highlighted in the live and silent auction. Everyone is invited. Oklahoma Panhandle Partners has made a lasting commitment to cancer clients fighting the fight. They supply gas cards, food vouchers, wigs, warming capes, overnight lodging and help with other expenses incurred during treatment. A new offering through donation by the Guymon 4-H Club is JP drain pockets. Over 160 clients have been assisted year to date. The organization includes two new satellite contact partners in Beaver and Boise City for client access to apply for assistance. The office staff has a passion and is attuned to help others while keeping the client’s dignity and privacy intact. To apply for aid you must live in one of the three Oklahoma Panhandle counties and have been a resident for six months. Your donation gives people hope when the cost of their treatments and prescriptions may have caused them to give up. Don’t delay; get your tickets soon by calling or visiting the office Monday through Thursday, 8 a.m. to noon or send an email. Tickets are $25 per person or $50 per couple (Yearly Membership or Donation). If you would like to become a Copper, Bronze, Silver, Gold, Platinum, or Ruby sponsor at the “Calico and Cactus” call 580.468.6577 or email [email protected] Visit our office at 312 N. Main in downtown Guymon, Oklahoma. LIKE Oklahoma Panhandle Partners on Facebook https://www.facebook.com/www.okpp.org or follow on Twitter @OKPPGroup.